Tied, twisted, looped, folded, rolled —the silk scarf lends itself to endless transformations and yet somehow manages to always look the same: très elegant. It’s worn as a headscarf by Queen Elizabeth, used in countless iconic photos and one movie star-turned Princess famously used it as a sling for her broken arm. It’s only fair then that to source these luxurious accessories we went to one of the most glamorous places in the world: Lake Como. Lake Como is the home of Gottardo Giamminola, who started his textile company there in the 1950’s. He silkscreens exquisite designs onto 100% silk to create airy, graceful scarves worthy of Como’s jet set glitterati. With almost 70 years in business his company exemplifies the storied heritage, impeccable quality and innovation that family-run Italian companies have become known for. 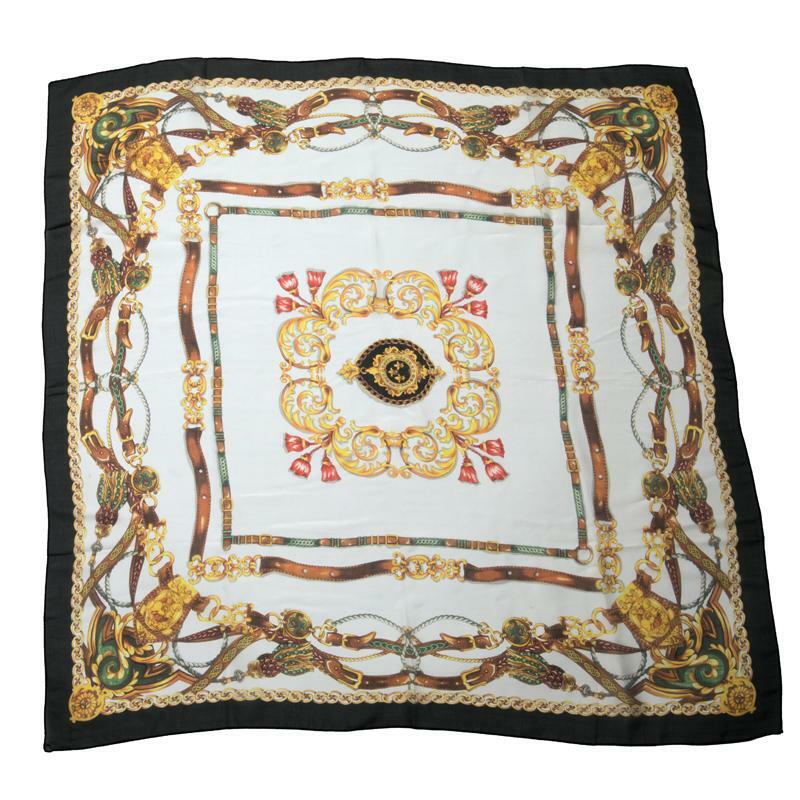 We worked with the Giamminolas to choose two scarf designs evoking whimsical equestrian motifs. Paired with our scarf ring, your tying options become endless. Purchased in fancy boutiques 100% silk scarves would normally run you hundreds of dollars. But through our Italian connections we were able to secure them for you at a truly remarkable price. Each scarf is limited edition. Don’t miss your chance to own one of Italy’s most legendary accessories.